Environmental analysis is moving from the fringes of socially responsible investment to the mainstream, helping push the sustainability agenda forward in large corporations in North America. People outside the “green” professional community are increasingly recognizing that companies’ environmental performance is linked to financial performance. This type of mainstream recognition in the business world will help push the sustainability agenda forward in large North American corporations. Accounting firms and management consultants in particular took note of the link between sustainability and financial performance. McKinsey’s Resource Revolution recognized the importance of sustainablity to business value and opportunity and KPMG reflected in Expect the Unexpected that corporate responsibility in response to sustainability megaforces can be good for the bottom line and shareholder value. But it was not just consultants..... 2012 also saw investors looking at environmental factors ranging from natural capital and carbon efficiency to good governance and stakeholder relations. Sustainability-themed funds demonstrate that environmental factors indicate how a business is positioning for a changing world constrained by increasing demands on commodities. A growing number of traditional investors were spurred to use environmental analysis in mainstream investments because evidence is mounting that this practice pays off. This marks a shift from traditional socially responsible investment approaches, such as screening out “sin” stocks like tobacco or gambling companies. For instance, First State’s £275 million Global Emerging Markets Sustainability Fund, which focuses on “sustainability leaders”, has outperformed its emerging markets benchmark since its launch in 2009. Unilever (food producers), Satyam Computer Services (technology) and Aspen Pharmacare (pharmaceuticals) are among the fund’s top 10 holdings. Measuring environmental performance comes down to pollution and natural capital use, and one pollutant most relevant across all industries is carbon. Companies in California, China, South Korea and South Africa will start paying for carbon emissions under pricing programs due to kick in between 2013 and 2015 and they’ll join companies already covered by carbon pricing in Europe, Australia and New Zealand. The implication of this? Mainstream index providers, fund managers and asset owners will need to to position investments to reduce exposure to risks from carbon liabilities, and increase exposure to companies that stand to gain in low-carbon economies. S&P Dow Jones Indices designed the U.S. Carbon Efficient Index to help investors find more carbon-efficient companies. The U.S. Carbon Efficient Index is a subset of constituents in the S&P 500 with a relatively small carbon footprint, and maintains at least 50 percent of the underlying sector weightings in the S&P 500. 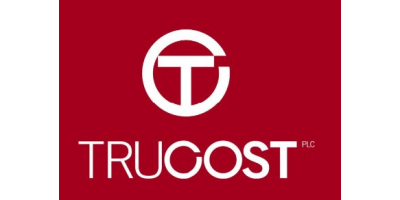 Trucost calculates a carbon intensity so investors can compare companies, indices and funds of all sizes on their dependence on carbon-emitting resources to generate returns. European asset managers have already attracted more than US $500 million in assets under management that are carbon optimized. Investors include the U.K.'s largest corporate pension scheme, the BT Pension Scheme, with more than US$161 million in a carbon-tilted passive equity index fund with markedly lower exposure to carbon and fossil fuel costs. The LGIM UK Equity Carbon Optimized Index Fund (managed by Legal & General Investment Management) returned 3.42 percent in gross returns compared with 3.37 percent for its benchmark index (the FTSE All-Share Carbon Optimized Index) and 3.06 percent for the FTSE All-Share Index, between the fund's inception in May 2011 and 30 November 2012. The recent Institutional Investors Group on Climate Change survey found that investors increasingly addressed climate change in 2011. For example, the Australian superannuation fund VicSuper has invested more than US$210 million in a carbon-efﬁcient portfolio managed by Vanguard Investments Australia Ltd since 2009, as part of its strategy to manage carbon risk. The Carbon Aware International Shares portfolio consists of more than 700 companies and is benchmarked against the MSCI World ex-Australia Index, but reweights stocks based on carbon efﬁciency with the aim to achieve a carbon footprint 50 percent smaller than that of the underlying Index. Each year, VicSuper monitors the carbon impact of its listed holdings, which had a combined value of some US$4,377 million in June 2012. VicSuper reports each member’s carbon footprint from listed equities to help raise awareness of the need to manage carbon exposure, and to help people see that their pension savings are invested in real companies with real carbon emissions. Earlier this month, the fund’s climate risk management was recognized by the Asset Owners Disclosure Project, a not-for-profit organization that gave VicSuper an “AA” rating and ranked it in the top 20 asset owners in a Global Climate Index. The Index top 20 includes three U.S. asset owners: New York State Common Retirement Fund, CalPERS and California State Teachers’ Retirement System (CalSTRS). CalSTRS is among pension funds using environmental data over the FactSet network. Widespread access to robust environmental data from platforms like FactSet has made it easier for fund managers to analyze companies’ carbon emissions, water use, and waste alongside financial metrics. More than 1,000 investors globally with over US$30 trillion in assets under management are incorporating environmental issues into investment analysis and decision-making processes, as one of six commitments under the United Nations-based Principles for Responsible Investment (PRI). Signatories will need to use a new reporting framework to explain how they are doing this in 2013. The implications are that investors will be under increasing pressure to disclose, while corporations can expect greater scrutiny of their own environmental records, and strong performers could see costs of capital lowered. Deutsche Bank’s review ofSustainable Investing was one of several studies in 2012 that found a link between corporate social responsibility, lower risk and financial outperformance. Originally written for and published on CSRwire Talkback series 2012 In Retrospect: CSR and Sustainability News, Views & Trends. No comments were found for Mainstream investors look to sustainability to unlock value. Be the first to comment!